19th International Exhibition for the Management & Production of Poultry, Livestock & Fish. AGRENA has stood the test of time to register itself as the Middle Eastern region’s largest & most prestigious Poultry, Livestock & Fish Show. It targets the flourishing Poultry, Livestock& Fish industry in one of the biggest markets for Poultry, Livestock& Fish products in the Middle East, with an emphasis on giving the possible opportunities to broaden your horizons & to see the latest technology, products and services. 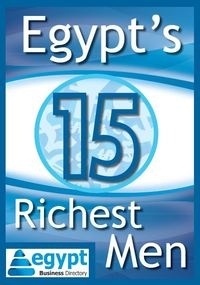 AGRENA is held 3 days once a year, at Cairo International Conference Center (CICC). The total exhibition area comprises26000 m² indoor and 2400 m² in the open air, as we expect an increase in numbers of exhibitors this year. This is from the satisfaction level among the exhibitors with the quality of organization and the new innovations that had been made at AGRENA 2016 As well the increasing in numbers of visitors from Egypt & other countries proves that AGRENA is a good opportunity for new trade contacts.